This exercise takes the subtle movements of the pelvis in different planes of motion. 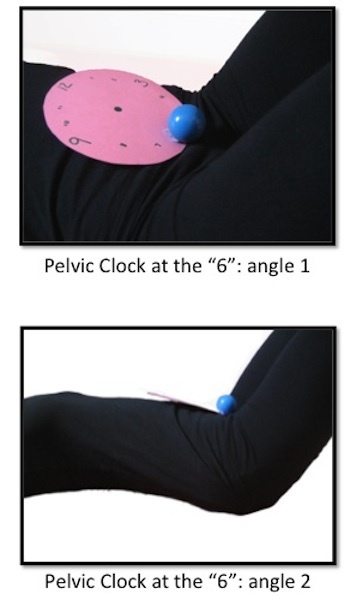 It introduces rotation to the spine, and can add relief to imbalances in the piriformis. To do this exercise you will need a mat. Start by lying on your back with your knees bent and the bottom of your feet planted in the ground. 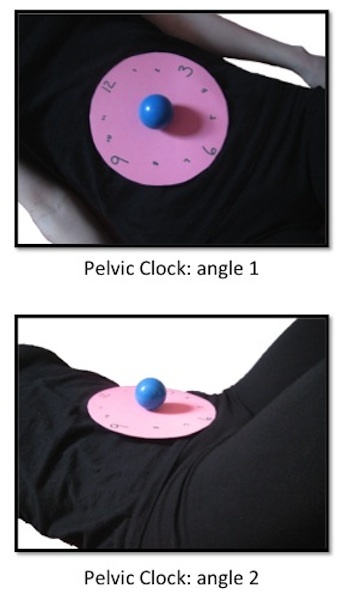 For the purposes of this exercise imagine that there is a clock on the front of your pelvis. Your belly button is twelve o’clock and your pubic bone is six o’clock. Each hip is three and nine o’clock respectively. 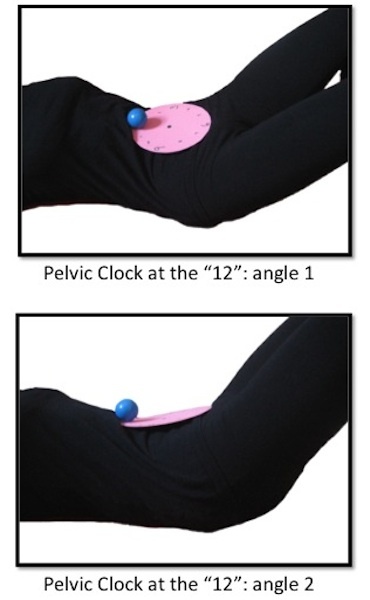 The first part of this exercise is the pelvic rock, inhale as you rock the pelvis towards the pubic bone (six o’clock) and exhale as you rock the pelvis towards the belly button (twelve o’clock) Next you will introduce slight rotation in the spine by rocking the pelvis from side to side (three and nine o’clock.) 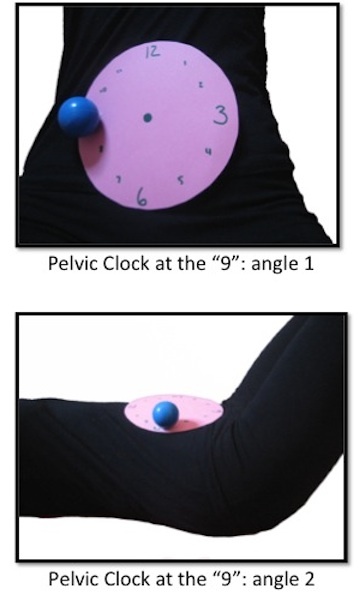 Now we want to move the pelvis around the imaginary clock. You will start this movement by exhaling and rocking the pelvis towards the belly button (twelve o’clock) then begin rolling the pelvis to the side, and then towards the tailbone, to the other side and back to the belly button. Inhale as your pelvis finds rest in the middle and then begin again, this time moving the pelvis counter clockwise. 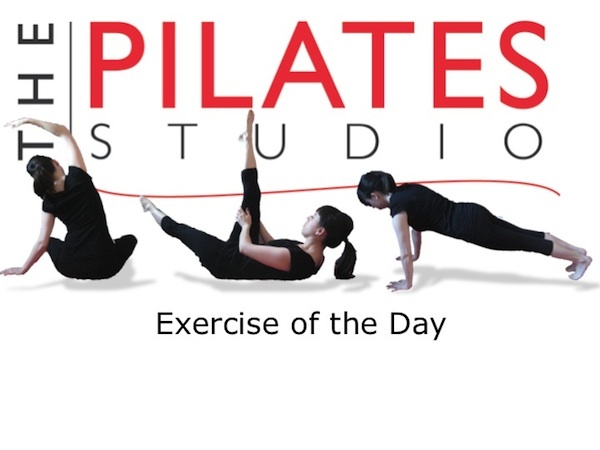 This exercise is unusual because it provides an environment in which the pelvis is the mobile entity moving around the heads of the femur (thigh bones) so as you are moving your pelvis be sure that your knees continue to point towards the ceiling. Your thighbones are stabile as your pelvis moves around them. This is also a small movement. Be sure that the feet are light on the ground so that the muscles and fascial connections of the pelvic floor can move the pelvis rather than the muscles of the legs. Sometimes people like to imagine that their pelvis is a bowl of soup and the movement of the pelvis sloshes the soup around the edges of the bowl.